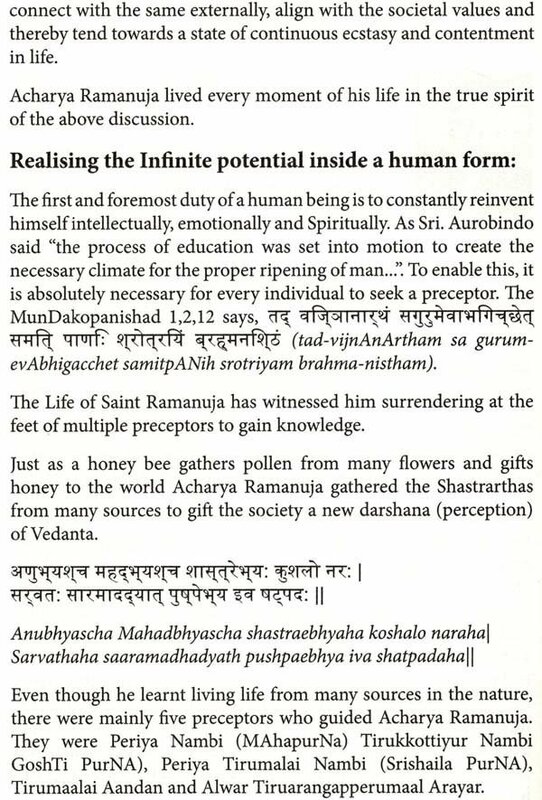 A pep up call Grandfather: Ramanuja!! 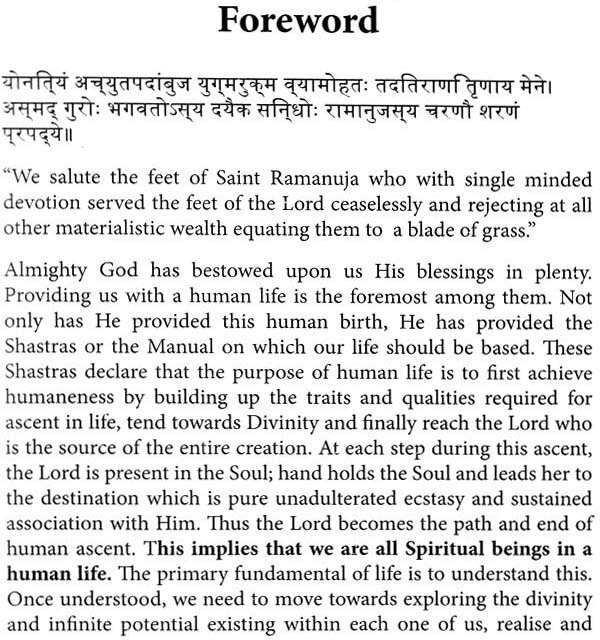 Ramanuja!! 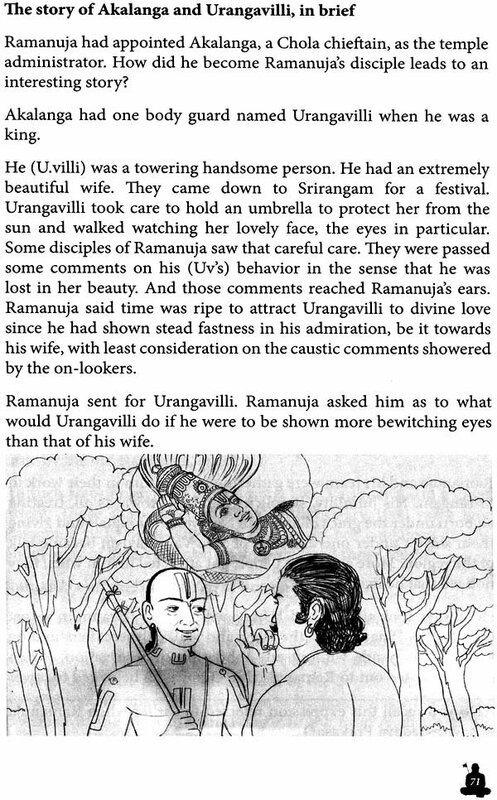 Ramanuja!! Grandson: Hi! Grand pa whom are you calling? There is no one by that name here. I am Krish and dad is Ram, Then why should call someone else for help or for anything else? Grandfather: You are right in a way, my dear. But then there is someone beyond us who peps us up and gives us mental peace while taking care of us. Grandson: Is that the person whom you are calling? Who is he? Is he God? 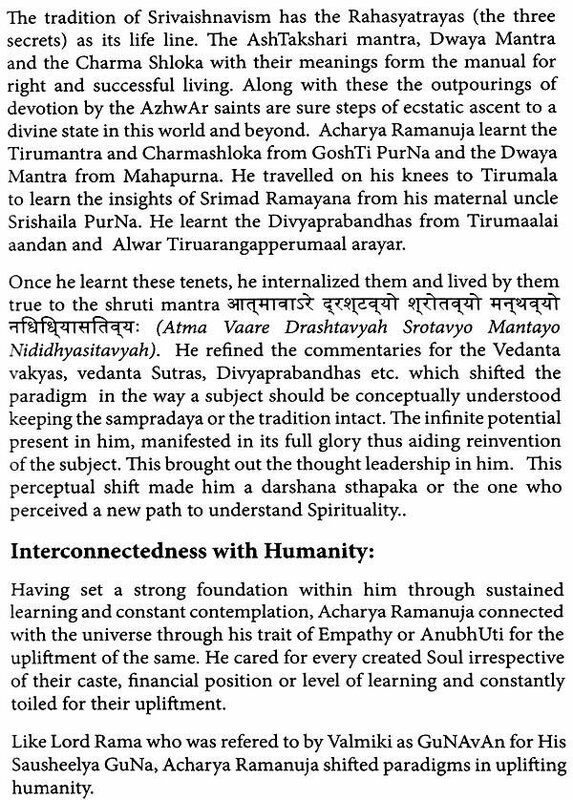 Grandfather: He is our Acharya. He takes care of us, our well being, shows us the path leading to Him and ultimately to reach Him. 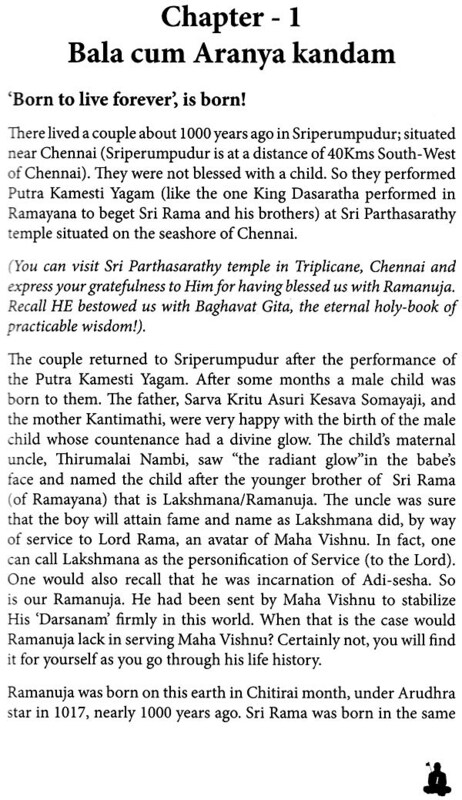 And that The Supreme God is none other than Sreeman Narayanan. Grandson: Grand Pa, tell me more about that Acharya, he seems to be an interesting type of superman. Is he still around us? 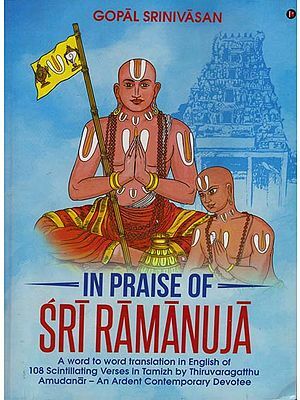 Grandfather: That means you have not read the booklet titled" Get to know: Great Acharya Ramanuja and his 4 Maha-walks" or"Galloping through 1000 year old time-window: Eight glimpses of Sri Ramanuja - Katha." I shall tell you what you wanted now Yet, I recommend reading up the earlier mentioned booklets for some interesting details on some episodes of history. Grandson: Grand Pa! What's that heading? Are you going to revert back to your favorite God's tales and fables? Or are you going to keep your promise about the person to whom you called out? What did you call out? 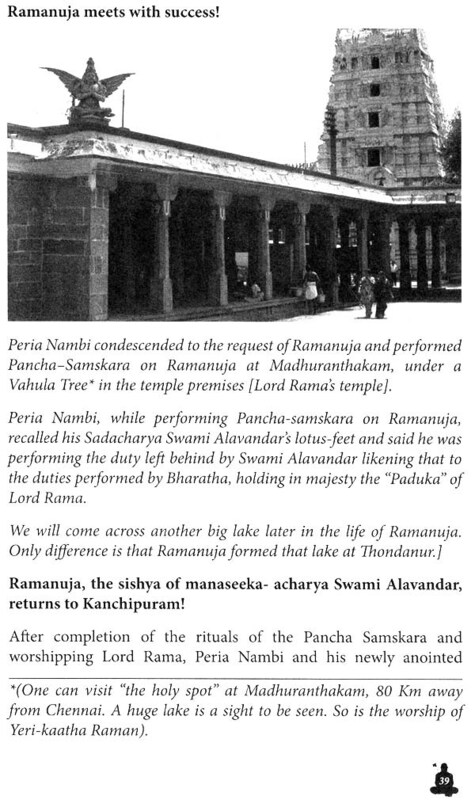 Ya, Ya, I recall it, it is `Ramanuja'. 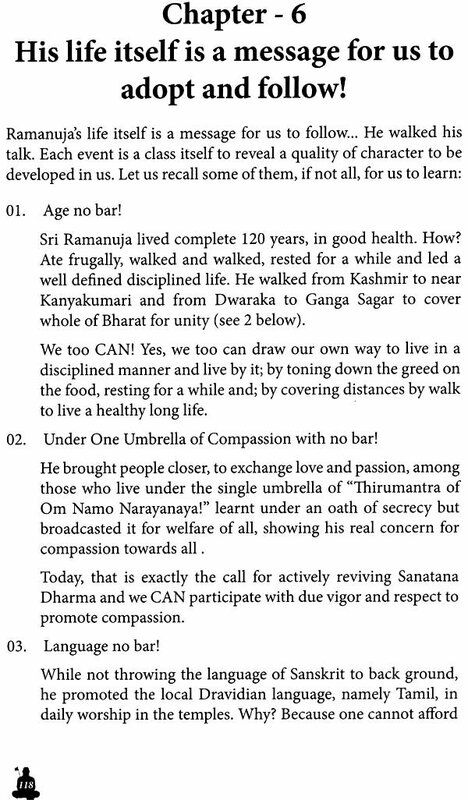 Grandfather; Dear me, I am going tell only the life- history of that great Acharya. Grandson: Then, why did you propose a heading 'Born to live forever'? Grandfather: Well, you shall understand that soon. He lived and is living still! Grandson; Grand Pa, please get along with the story of this Super Man.